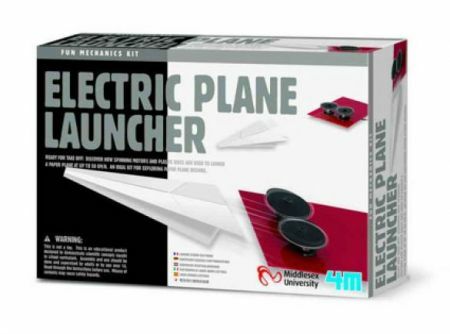 Build a paper plane launcher with motors and plastic discs that can shoot the paper plane up to 50 km/hr. Kit includes base plate with guide, plastic discs with pulley, battery box, 2 motors, rings, suction cups, screws, nuts and other required accessories. For ages 14 and up or under adult supervision.